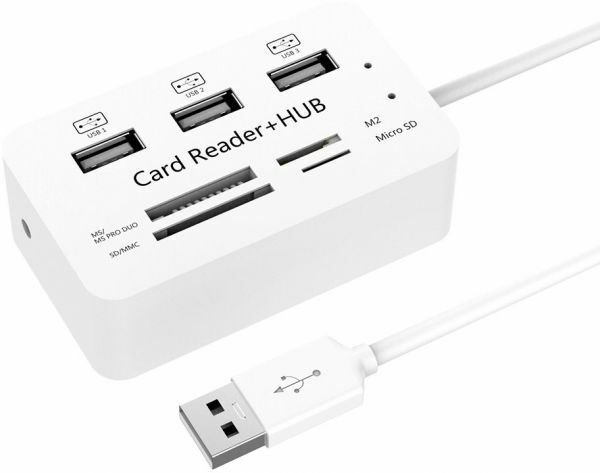 Multi function 5-in-1, 3 * USB 3.0 + MS / SD / M2 / TF card reader, 5 slots. All ports can work together at the same time to easily transfer data from any card or device..
5-in-1, 3 * USB 3.0 + MS / SD / M2 / TF card reader, 5 slots. All ports can work together at the same time to easily transfer data from any card or device..